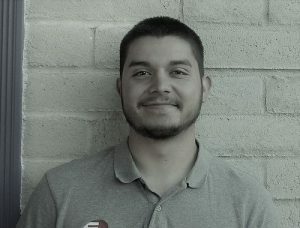 Born and raised in Tucson, Casey joined the Eren Design and Remodel team in 2010. From framing and electrical work to roofing and supervising subcontractors, Casey knows the ins and outs of getting your project done on time and on budget. As a project manager, he uses this expertise to ensure your project runs smoothly. In his free time, Casey loves to work on cars and play with his dog, Barrett. His number one recommendation for all clients is to plan your remodel around vacations, if possible. Not only is it more enjoyable for the client, it allows the project to be completed quicker. As the grandson of Janice and Terry Donald, Eren Designs Owners, and the brother of Stephanie Peacock, Eren Design marketing and outreach guru, Casey values getting to work closely with his loved ones. And, he believes in treating each client like an extension of his own family.